I’m feeling despair. Today Paddy came in with a shallow respiration rate of about 70 rpm. The day promised to be hot and humid, as it will be for the rest of the summer in Maryland. He wasn’t coping. He was panting like a dog, nostrils flared, and horses don’t pant. Being Sunday, I called the emergency vet line and was told I could give him my reserve shot of steroids, but it may set of a laminitis episode. 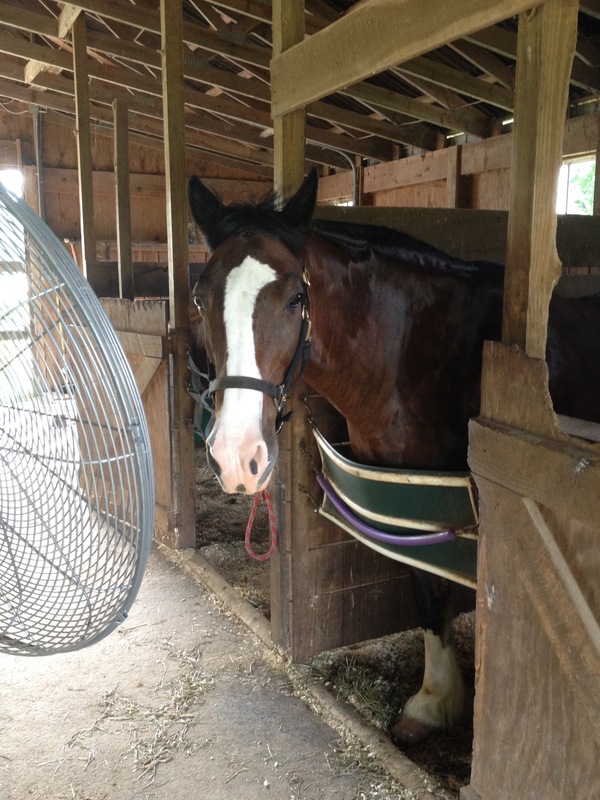 I elected to up his broncho dilation meds and cold hose him every hour or so during the worse of the heat. His respiration did go down, but not to a normal rate. It is so hard. This is a horse that even people who don’t care for horses fall in love with. Tomorrow is another day. Hope for better.